Ryan Shazier is an American football linebacker who plays for the Pittsburgh Steelers of the National Football League (NFL). In 2014, Steelers drafted him in the first round of 2014 NFL Draft. Shazier wears shirt number 50 at Steelers. In the collegiate level, he played at Ohio State. Shazier has received positive reviews for his athleticism, agility, flexibility, strong hands, acceleration, production, and lateral movement. Following his severe spinal contusion injury in December 2017, Shazier was voted 2018 Ed Block Courage Award recipient by his teammates. Ryan Shazier was voted Ed Block Courage Award recipient by his teammates. It is an award given to a Steelers' player who has returned from a season-ending injury. Shazier is pushing hard to recover from the injury sustained in late 2017. Shazier thanked and praised his teammates to understand his situation and their desire for him to return as soon as possible. Shazier is one of the best linebackers for Steelers and he suffered a severe spinal contusion in a football game against Cincinnati Bengals on 4 December 2017. The injury had to undergo spinal stabilization surgery and ended his rest of the season. He is likely to miss an entire 2018 season as well. The full name of Shazier is Ryan Dean Shazier. He was born on 6 September 1992 in Lauderdale Lakes, Florida, United States. Vernon Shazier is the name of his father and his mother is Shawn Shazier. He attended Plantation High School in Florida. After High School, he attended Ohio State University. Initially, Shazier committed to play for Urban Meyer at Florida. However, he revoked his commitment after Gators head coach Meyers resigned. Shazier committed to play for Ohio State Buckeyes football team. Shazier finished his freshman season at Ohio State with 57 tackles, 5 tackles for a loss, 3 sacks, and 2 forced fumbles. Shazier finished his second season with 115 tackles, 17 tackles for a loss, and 3 forced fumbles. In 2013, Shazier led the Big Ten Conference with 143 tackles, second best in the league with 101 solo tackles, career-high 6 sacks and 4 forced fumbles. In 2013, Shazier was voted a first-team All-American by the Associated Press, USA Today, ESPN.com, and Sports Illustrated. Shazier announced to pursue his senior career in the 2014 NFL Draft in January 2014. Following his performance at Ohio State, NFLDraftScout.com ranked Shazier the third-best outside linebacker and the 19th best prospect. Shazier was selected by The Pittsburgh Steelers in the first round with the 15th overall pick in the 2014 NFL Draft. The Pittsburgh Steelers signed Shazier to a fully guaranteed four-year contract on 5 June 2014 for an amount of $9.50 million and a signing bonus of $5.23 million. Shazier made his career professional debut against Cleveland Browns and made 6 tackles including 5 solo tackles. Shazier suffered a knee injury and missed weeks 4-7 in his rookie season. Shazier finished his debut season with 36 tackles, 24 solo tackles, and a pass deflection in five starts and eight games. Shazier finished his second season with 87 combined tackles, 3.5 sacks, and an interception in 12 starts and 12 games. Shazier finished his third season with 87 combines tackles, 9 pass deflections, 3.5 sacks, and 3 interceptions in 12 starts and 13 games. In April 2017, Pittsburgh chose the fifth-year option on Shazier's contract. Shazier made the career-high tie with 11 solo tackles and forcing a career-high of two forced fumbles against the Cleveland Browns on 10 September 2017. In December 2017, Shazier suffered a severe back injury, spinal contusion and underwent spinal stabilization surgery. The surgery ended his rest of the season. Despite the injury, Shazier was named to his second Pro Bowl. Shazier made emotional return walk onto the AT&T Stadium stage with his fiancee at the NFL draft on 26 April 2018. Shazier was placed on the reserve/PUP list and would likely miss entire 2018 season. Ryan Shazier was voted Ed Block Courage Award recipient by his teammates. Ryan Shazier has an athletic body build. He stands six feet one inch tall. He weighs 104 kg. Shazier is currently engaged to his fiancee, Michelle Rodriguez. The couple is expecting their first child together. They are having a boy. He also has a son named RJ from his previous relationship. 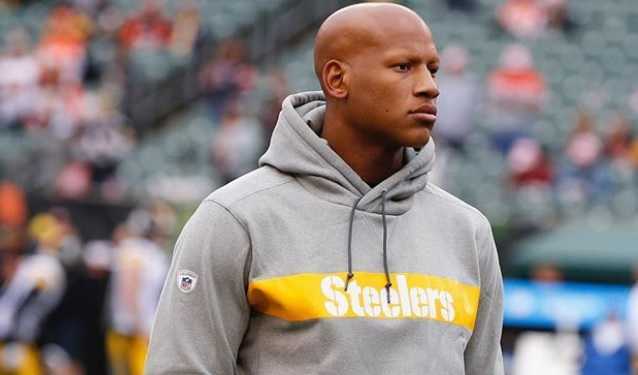 Shazier suffered from alopecia from his childhood. It is an autoimmune condition that prevents the growth of hair on the body. Shazier was always bullied for this. With support and encouragement from his parents, he developed an altruistic temperament to deal with the jabs and name calling. 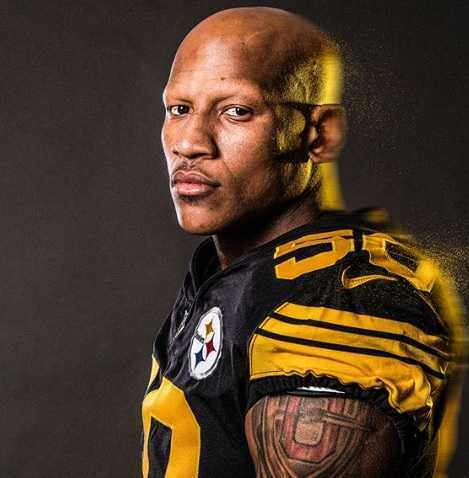 Later in 2017, after his hair unexpectedly began growing back, Shazier wrote of his experiences. As of 2018, the net worth of Ryan Shazier is estimated at $12 million. And he has an annual salary of $8.7 million. After suffering from a severe injury in December 2017, The Pittsburgh Steeler reportedly converted his salary for the year 2018 into a signing bonus. According to ESPN's report, The Steelers have agreed to convert his annual salary of $8.26 million into a signing bonus. Shazier suffered from alopecia from his childhood. It is an autoimmune condition that prevents the growth of hair on the body. Shazier suffered a severe back injury, spinal contusion and underwent spinal stabilization surgery. Despite the injury, Shazier later was named to his second Pro Bowl. Shazier made a career-high tie with 11 solo tackles and forcing a career-high of two forced fumbles against the Cleveland Browns. Shazier finished his career at Ohio State with 315 tackles, 208 solo tackles, and 14.5 sacks.